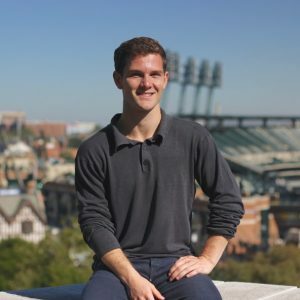 Michigan Venture Capital Association (MVCA), hosted the 2018 MVCA Annual Awards Dinner on October 2, 2018, at Eastern Market in Detroit as part of StartMIUp: Michigan Ventures Forward, a multi-day event hosted by Michigan Economic Development Corporation, (MEDC). 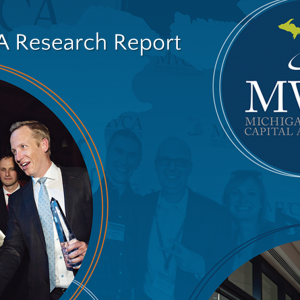 Co-hosted by Governor Rick Snyder, the MVCA Annual Awards Dinner attracted more than 400 investors, economic developers, entrepreneurs, and community leaders making it the largest event in the organization’s history. Following the event’s networking reception, MVCA Executive Director, Maureen Miller Brosnan welcomed everyone to the 2018 MVCA Annual Awards Dinner, recognizing the partnership between MVCA and MEDC in bringing together over 400 industry leaders from across the state and around the country to see firsthand the entrepreneurs, companies and organizations that represent Michigan’s future. Governor Snyder then took the stage to recognize the success of Michigan’s entrepreneurial and investment community and the impact of venture capital on the state’s economic growth. As a former venture capitalist, Gov. Snyder is intimately familiar with the importance of a thriving entrepreneurial economy, and in recognition of his eight years of commitment to advancing the state’s economic vitality through the growth of entrepreneurism, the audience gave him a standing ovation. Tom Shehab, M.D., chairman of the MVCA board of directors and managing director of Arboretum Ventures thanked guests for coming and for voting to select the evenings’ winners. He was then joined on stage by Mark Olsenavage, treasurer of the Michigan Venture Capital Association and managing director of Hopen Life Science Ventures, to present the Lifetime Achievement Award, sponsored by GM Ventures. The award recognizes individuals who formed the foundation of Michigan’s entrepreneurial and investment community, paving the way for the next generation with their leadership and expertise. And the award goes to… Jody Vanderwel! Michigan Economic Development Corporation (MEDC) CEO, Jeff Mason, and Venture Catalyst’s Executive Director, Monica Wheat presented the Community Impact Award. The Community Impact Award recognizes organizations, events, or individuals that create meaningful, effective connections necessary to build Michigan’s entrepreneurial economy. Community Impact Award Nominees included Renaissance Venture Capital Fund, Accelerate Michigan Innovation Competition and TechTown. And the award goes to… Accelerate Michigan Innovation Competition! Gabe Karp, partner at Detroit Venture Partners and Maria Thompson, venture partner at Arsenal presented the Up-and-Coming Company of the Year Award. The award recognizes Michigan companies across all stages of growth that are producing groundbreaking solutions in their industry. Up-and-Coming Company of the Year nominees included Strata Oncology, Blue Medora, Clinc and May Mobility. And the award goes to… Strata Oncology! 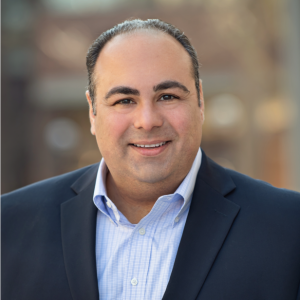 Gemphire Therapeutics Director Reda Jaber, and Renaissance Venture Capital Fund CEO Chris Rizik presented the Exit of the Year Award which recognizes companies that were funded by Michigan investors and achieved a successful acquisition or exit. Exit of the Year Award Nominees included nuTonomy, SPLT, and Duo Security. And the award goes to… Duo Security! MVCA Program Director, Molly Theis wrapped up the evening by thanking guests for attending, and again recognizing Title Sponsor MEDC, Presenting Sponsor GM Ventures, Dinner Sponsors Brooks Kushman, Bodman, Cendrowski Corporate Advisers, Essential Solutions, Gunderson Dettmer, Jaffe, Pepper Hamilton, Plante Moran, Square 1 Bank, Taft, Varnum, and Warner Norcross and Ceremony Sponsors Baird Capital, Plymouth Growth Partners, Bank of Ann Arbor, and UHY.